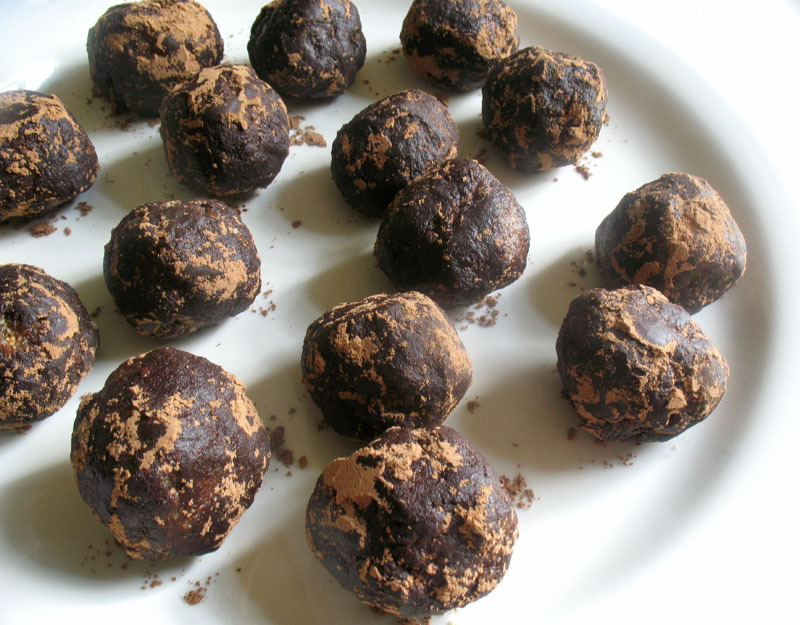 Raw and healthy homemade treats are pretty much a staple in my house these days. Sometimes you want a sweet that is satisfying, without the guilt, and these little truffles certainly fall into that category. They come together in hardly anytime at all, and with a bit of patience, as they are best chilled in the fridge before serving, these little bites will provide a nice dose of protein and most importantly, satisfaction to the palate. Decadence in this case is good for you. In a food processor, pulse together the almonds and hemp seeds into a coarse flour. Add the dates, peanut butter, cocoa and vanilla and process further until the mixture comes together. Shape into small balls and coat with cocoa or carob powder if desired. Chill in the refrigerator for a few hours. 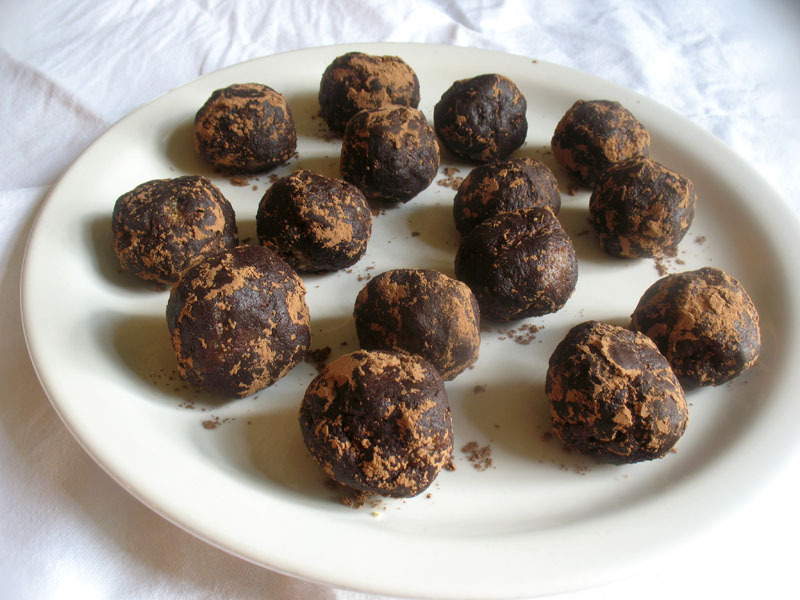 Keep any remaining truffles in the refrigerator. These were quick and easy! My three year old loves them and I love that they're an all natural treat for her!